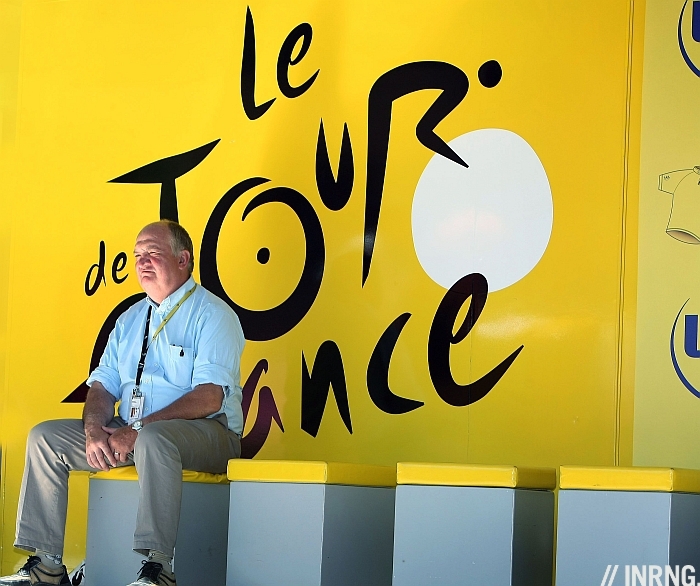 Jean-François Pescheux has stepped down as the race director of the Tour de France and this week’s presentation of the 2014 route will be a parting gift. A dominant presence in many French races, his retirement had been announced for some time giving him chance to enjoy his last Paris-Nice, a final Paris-Roubaix and turning the Tour de France into a farewell lap of France. It’s the end of an era. A pro for several years, he had a fast finish but never the most prolific winner. A stage of the Circuit de la Sarthe, the vanished Nice-Alassio and he finished the Tour de France twice. There was controversy too as he went to South Africa to race under the apartheid regime, the same race that saw Pat McQuaid and Sean Kelly also race under false names in order to ride. 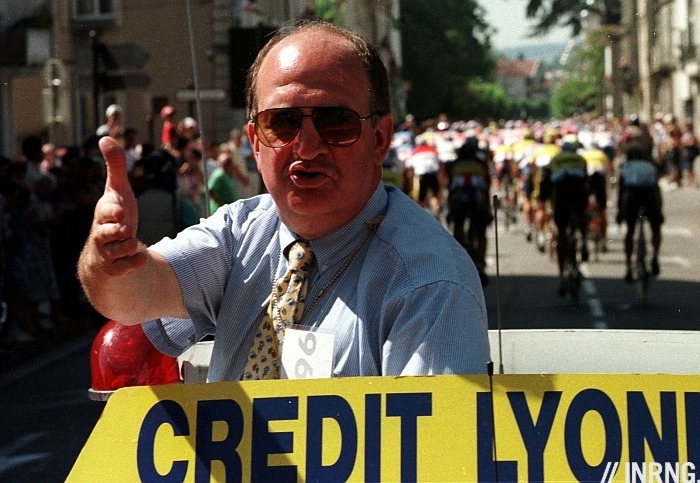 Retirement from the peloton came but he never left the sport, instead in 1982 he went to work for the Amaury Group for whom he completed the Tour de France 37 times, outlasting several of his bosses notably Jacques Goddet, Félix Lévitan and Albert Bouvet on his way to becoming technical director of the Tour in 2005. Now he’s set to retire. Technical director means everything from picking the route to deciding where the TV trucks will be parked by the finish line, as well as running the race once it’s underway. For example when the Orica-Greenedge bus got stuck under the finish line arch it was Pescheux who had to react. Pescheux seemed to be the perfect number two for ASO. Christian Prudhomme is directeur général and his background as a journalist and broadcaster means he’s at ease delivering speeches and charming the media. Meanwhile “Jeff” played the whip-cracking “bad cop” foil to Prudhomme’s charm. Writer Antoine Blondin once described the Tour de France as “a meticulous travelling bazaar” and in recent years Pescheux ran the logistics. A presence at the signing-on ceremony to greet riders at “his” race, the image most will have is him in the red car, the conductor of the Tour’s orchestra. Managers and mechanics will know the voice. As Radio Tour’s leading MC his control has been legendary. Sometimes words weren’t needed, a glare out of the red car could prove threatening to a team manager trying to drive their car too close to the bunch. But there was the classic “iron fist in a velvet glove” style too with glowing reports of local mayors charmed by Pescheux over lunch and a Michelin map as they plotted the route of a stage of the Tour de France. Those folding yellow maps with the route inked on for the day were always packed for the day, an analogue rescue plan in case of a problem. In simplest terms, if there was a problem at a race it was Pescheux who had the final say. The Cycling Anthology’s Volume 2 has a good take on him by James Startt, as well as running the Tour de France you’ll find him on Easter Monday helping to run his local club’s annual race. You can sense Pescheux’s conservatism. For him the Tour is a bike race and not le sport-spectacle, a circus show. The Tour has changed in recent years, see the shorter mountain stages but it remains relatively unchanged. In contrast to the Giro and Vuelta’s hunt for new roads and summit fever, Pescheux picked roads the way a diner visits a restaurant, scans the menu and orders the same dish he had last time. But this tradition is also explained by the Tour’s money, its valuable race caravan that can’t fit on narrow roads, the giant ski resorts bidding for stage finishes and the media that’s too big to fit into a mountain village. We’ve seen some innovation, witness the “lite” finish on the Galibier in 2011 or the exploration of new climbs like the Planche des Belles Filles or the Grand Colombier. But the technical director has to think of more than the climbs. Think of Mont Ventoux and you will think of its slopes and white rock but Pescheux knows how far it is from the A7 Autoroute and how many hotels are nearby. Paris-Roubaix might be the best tribute. It was threatened with the extinction of cobbled sectors and without the pavé the race would be flat, boring and dead within a decade. But Pescheux valued the cobbles and helped others to preserve them as part of northern France’s heritage. He also discovered new sectors, take the time he accompanied Jean Donain, a local race organiser. They arrived in a field and Pescheux saw nothing until Donain brought a shovel and started digging to reveal the cobbles. Such a tale is not unique, in recent years he’s had to get his car towed away by a farmer after an attempt to check one cobbled section proved too much. The job is now filled by Thierry Gouvenou, an ex-pro with a top-10 in Paris-Roubaix to his name. Gouvenou seems less imposing and more modern, he even uses Twitter. The Tour goes on and Gouvenou’s been groomed for the job but you sense he’s part of a team, a corporate effort. When Paris-Nice starts next year it’ll be different without “Jeff”. This post, and other like it, are what make this blog such a delight to come back to time and time again. Thanks inrng! I always read these sorts of posts, but don’t generally have anything to add or ask. I’m sure it’s the same for most people, so don’t take a relative lack of comments as being indicative of a lack of interest. Wonderful profile of a dedicated man! Great story once again. Thank you for your good work. Btw. what exactly is Bernard Hinault’s role in the organization? You can see him year after year on the podium donning the maillots and shaking hands but is that all there is? He’s currently in Japan as part of ASO promotion of the sport in Asia. Yep, I thought he was there as security. Sagan isn’t going to try anything funny on the podium with The Badger keeping an eye on him. Beautiful piece to remember one of the cycling’s legends, although in an administrative sense. As they say, the show must go on..
With Gouvenou, do you expect there will be any change, maybe a more “modern” route and race, new climbs etc. or should we see this as continuation of the work done by Pescheux? Good question. Gouvenou’s already been working for example most of the 2014 route and it doesn’t sound too different. Pescheux did make some changes, see the move to shorter mountain stages but this could accelerate. The change is more likely to be felt in the race convoy, Gouvenou is quieter and less imposing. The Paris Roubaix in which Thierry Gouvenou finished a top ten was in 1998, I believe, won by Franco Ballerini. It was one of the most tremendous editions I have witnessed on the road side and the film. INRNG, have you delved into the chronicle of Franco Ballerini in past posts? He was not a super winner of races, but quite a powerful bike racer to observe in the classics. I was fortunate enough to work as the first American in the Mavic Neutral Assistance cars in the ’84 Tour. That was during the reign of Goddet, Lévitan and Bouvet. We drank wine and champagne with gendarmes during the race. It was a different time that is long gone. In those days, women weren’t allowed in the race caravan cars. Hope he enjoys his “retirement”job well done. One of the highlights of the 2012 TDF was Pescheux’s furious argument with the equally irate Liquigas DS which seemed to go on for several very entertaining km. Happy days. Thanks for another informative article INRNG. We may not always have comments or insights, but your knowledge and sharing makes us more appreciative of our most beautiful sport. Best news of the day. Without Pescheux we might even see a decent parcours in the coming years. If Goscinny was alive, Jeff’s face figure would have been integrated on some Asterix or Luky Luke comic. Great piece, and I never knew who he was until then, apart from that he was involved with the races as he’s been in shot on the tv so many times.